Redbrush Provincial Park was established as a result of the Cariboo-Chilcotin Land-Use Plan Goal 2 (Special Feature) process. The park includes a complex of wetlands of both fens and carrs. Alkaline meadows, although present in other areas of the Chilcotin, are more abundant in this park. The area also includes some moose winter habitat values. 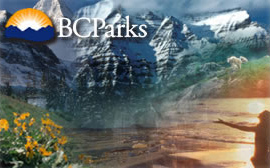 The park is located approximately 148 kilometres west of Williams Lake.